Here's an old fashioned Springerle recipe for making those special little German Christmas cookies that everyone raves about. 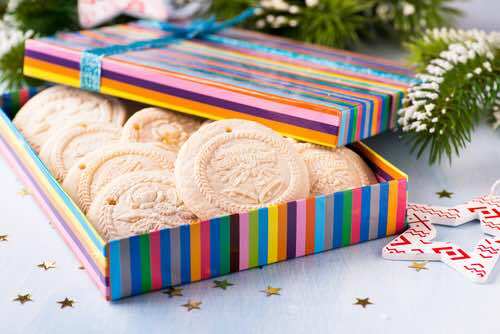 The festive, anise-flavored biscuits called Springerle have been a Christmas tradition in Austria and Bavaria as far back as the 14th century. Frohe Weihnachten und ein glückliches Neues Jahr! Beat whites and yolks of eggs separately, mix with sugar and beat well. Add flour until you have a smooth dough. Roll out pieces of dough, which should be half an inch thick. Press the dough on a floured form or mold, lift the mold, cut out the cakes thus designed and let lie until next day on a floured bread board. The next day grease pans well, sprinkle anise seed over the pans in which the cakes are to be baked; lay in cakes an inch apart and bake in a moderate oven to a straw color. The form used usually makes six impressions or cakes 1-1/2 inches square, leaving the impression of a small figure or flower on surface when dough is pressed on form. You make Springerles by pressing a mold onto the rolled out cookie dough and letting the impression dry before baking. Mold impressions are easier to make if the dough is chilled beforehand. The drying of the dough overnight preserves the delicate detail of the mold's impression. The molds are traditionally carved from wood, though modern-day materials are now sometimes used. A carved Springerle rolling pin can also be used to stamp or impress the dough with festive symbols. Baked Springerles tend to be hard like biscotti and are best packed away in containers to ripen for a couple of weeks to become tender. Making these Old World cookies can be fun for the whole family. 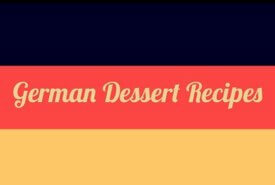 In the first of her four-part video series, Patrice Romzick of "Springerle Joy" offers clear step-by-step instructions plus a simple German Springerle recipe for making the special dough that consists of only four common ingredients. Visit the Springerle Joy Website where Partice offers a huge selection of authentic molds, many of which are exact replicas of traditional European cookie molds from past centuries. You'll also find a wonderful selection of books, cutters, tools, flavoring oils, and food coloring. Everything you'll need for this creative baking hobby.